Attend a workshop near you to receive vital hands-on training to prepare for the next major disaster! San Franciscans live in one of the world’s most at-risk seismic zones – placing a special responsibility upon those who live here, along with key local, state and Federal agencies, to take steps and prepare themselves, and their families, for the next Big One. Experts predict that a major earthquake will strike San Francisco and the immediate Bay Area in the next 25 years – so it is not a question of “IF,” but only a matter of “WHEN” residents will have to respond to such a disaster, as well as to take steps to help the City recover from any damage and devastation caused by such a natural disaster. In May 2015, DBI in partnership with Community Youth Center (CYC) and Self Help for the Elderly launched the Seismic Safety Outreach Program to provide San Francisco’s diverse populations with the hands on training and education on how residents, both young and old, can prepare before, during and after an earthquake. As of January 2018, this program was expanded to provide in language workshops are provided citywide in all 11 of San Francisco’s Supervisorial Districts. If you’d like to attend a workshop in your neighborhood, click on the map below for the service areas and Community Preparedness Coordinators contact information. Workshops can be provided in English, Chinese, Spanish and Tagalog. Please let the coordinators know if you have a language preference for the workshop you’d like to attend. 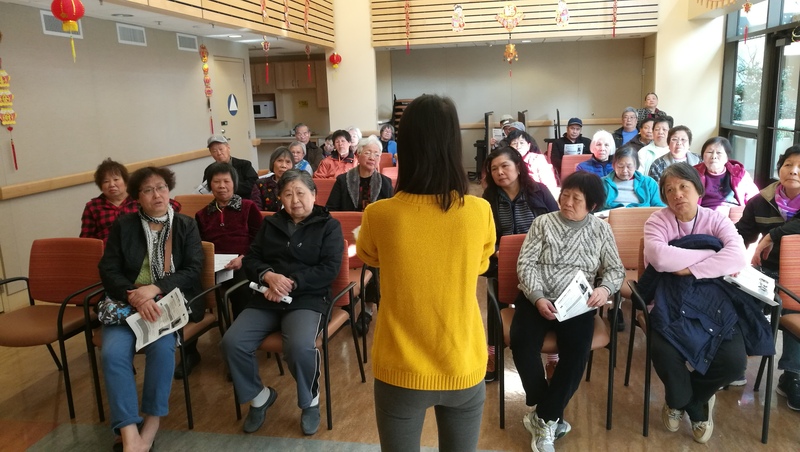 This program will provide free of charge seismic safety outreach to San Francisco’s multilingual communities, specifically residents of Chinatown, to educate them on emergency preparedness and response. Audiences will be SF residents (spanning different age groups, ethnicities), which may include renters, business owners, homeowners, youth and seniors of diverse cultural groups with significant linguistic, social, and economic needs. Additional training services provided by Community Youth Center in Supervisorial Districts 1, 2, 5, 6, 8, 9 and 10. To view a more detailed description of the curriculum, click here.